Yamaha release the next addition to its “Urban” range of scooters. The new Majesty S 125 - Europe only. This one looks like a cracker. 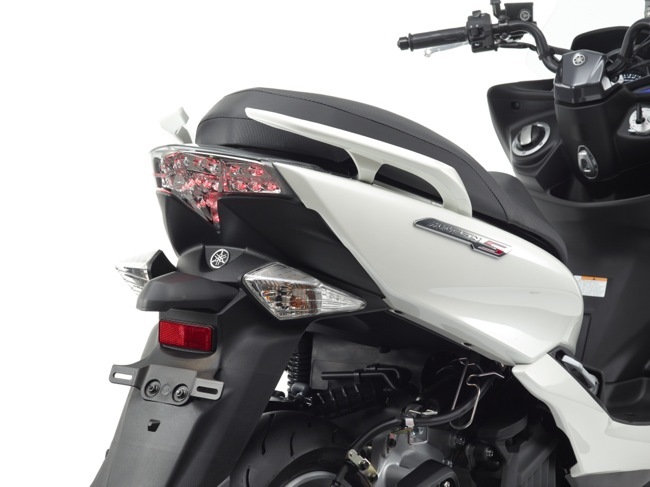 Designed to compete directly with scooters like Honda’s class leading PCX and Suzuki’s Burgman, the Yamaha Majesty will join both the Xenter and D'elight in the Yamaha Urban line-up. 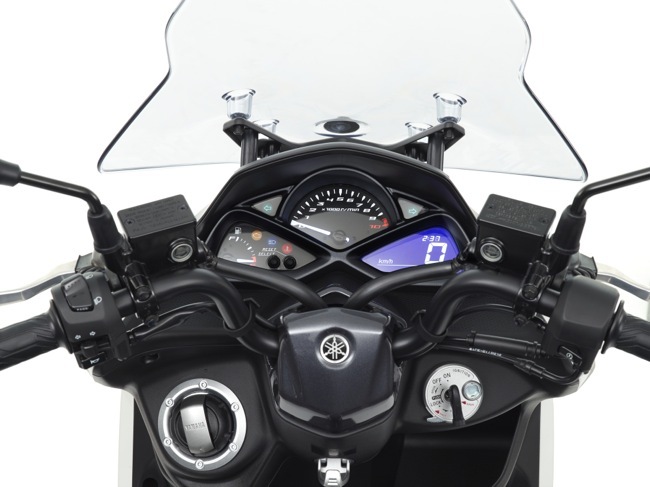 The Majesty will use the same liquid cooled, 125 cc fuel injected engine as seen in Yamaha’s Xenter. The Majesty S has been designed with the commuter first and foremost. Tons of storage space under the seat, a convenient flat floor area and ample weather protection that’s provided by the front screen. There’s also LED lighting and a fairly advanced looking dash. 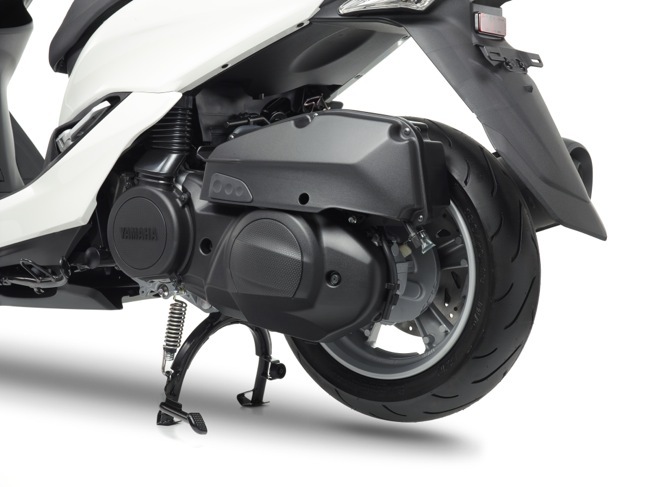 Technical features include a new horizontally mounted shock which tidies up the rear. Brakes are disc either end, the wheels are 13 inch in diameter at both ends. The Majesty S looks like a competitive package. Yamaha look to be increasing the momentum around building scooters for commuters. The new Tricity looks to be all that we will see here in Australia later in 2014. For now see the full Yamaha press release below. 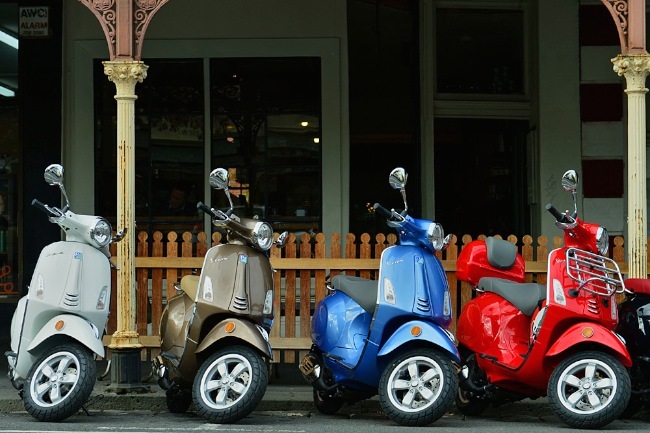 Yamaha offers a wide choice of urban scooters that combine style, fun and convenience. With its modern design, lively performance and masculine appeal, the new Majesty S joins the high wheel Xenter and the more feminine retro-style D'elight to complete the Yamaha 125cc urban scooter segment. Yamaha's urban scooters are specifically designed to enhance the daily commuting experience by offering Japanese quality, advanced design and class-leading reliability with an affordable price. As well as the added satisfaction that comes with owning a premium brand, Yamaha customers can also be assured of a first class spares, service and warranty back up from our comprehensive European dealer network that is on hand to offer friendly and professional advice. 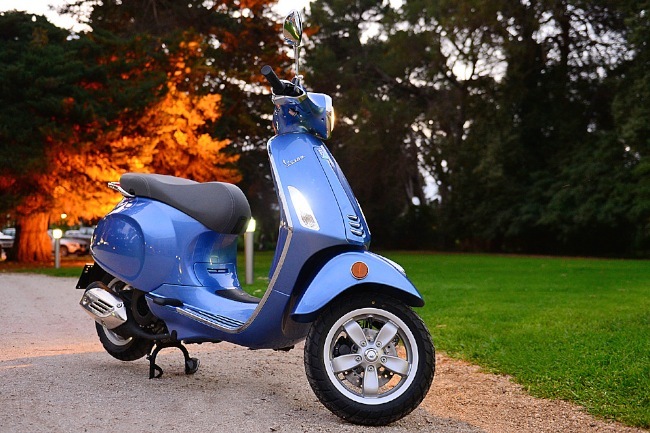 The Majesty name is and has been a mainstay of the Yamaha scooter line for a number of years, with over 150.000 units sold for the 125 to 180cc versions. During this time it has come to represent convenience and affordability, and for 2014 the new Majesty S is ready had to this strong reputation an extra fun factor to attract a new generation of urban commuters. 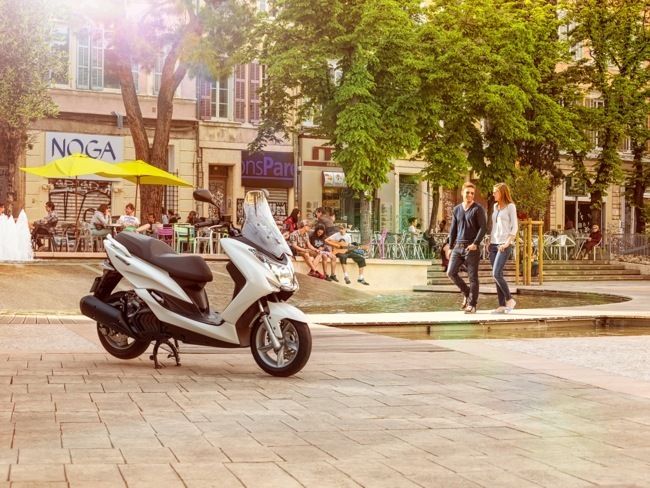 To complete its urban scooter segment, Yamaha now introduces the Majesty S, a compact and affordable new 125cc scooter that offers an attractive combination of value, practicality and ease of use. 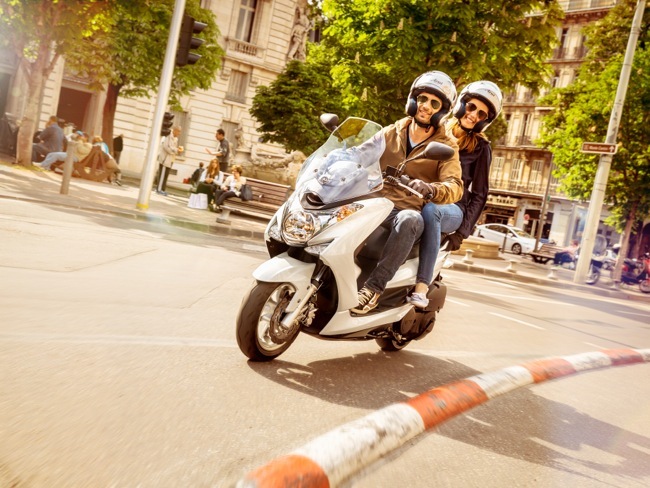 Aimed at the discerning urban commuter who is looking for economy and convenience together with style and reliability, the new Majesty S gives cost-conscious customers the chance to own a quality scooter at an affordable price. 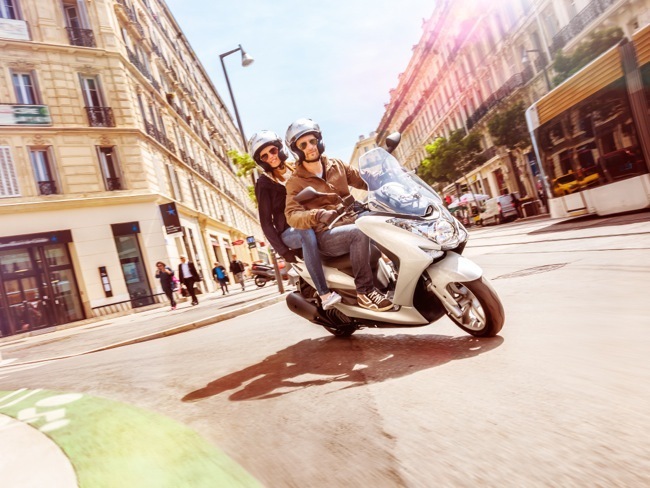 The lively 125cc liquid-cooled engine and agile chassis make light work of urban and suburban commuting – with the well-known dynamic performance that Yamaha can deliver. The new Majesty S thus brings extra spice to the 125cc scooter category. Yamaha's design team have paid particular attention to the ergonomics on the new Majesty S, and we have succeeded in creating a compact and manoeuvrable 125cc scooter that delivers very good levels of comfort together with high quality features. One of the main chassis aspects sure to be appreciated by commuters is the large, flat footboard area and stepped dual seat that give a natural and relaxed riding position, and also allow for easy leg access to the ground - making the Majesty S ideally suited to the typical 'stop-start' nature of urban riding. An automatic seat opening device gives quick access to the storage compartment, and passenger comfort is assured thanks to the fold out footrests as well as the plush stepped dual seat and grab bars. A number of spacious storage compartments underline the Majesty S's focus on day-to-day practicality. 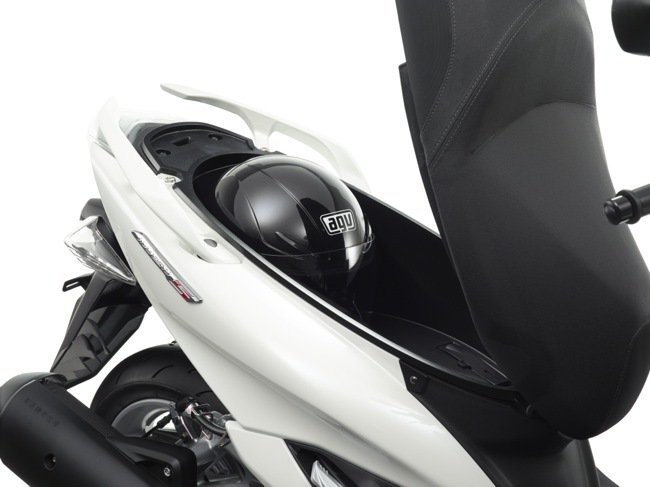 Under the stepped dual seat there's space for a single full-face helmet plus other small items, and in front of the rider there's a large inner box that can easily accommodate a 500cc drink bottle. 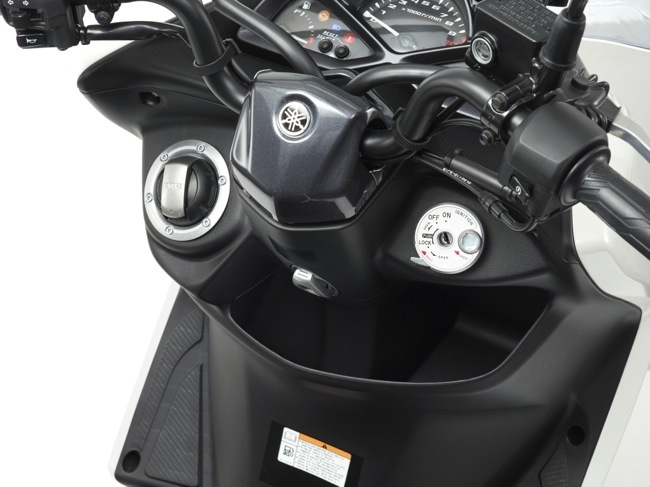 Up front there is also a convenience hook that is designed to carry small bags, and Yamaha offer a number of optional top cases for those owners who wish to carry larger loads. To give the Majesty S a sleek new look that matches its lively character, the new model is equipped with an LED position lamp. Inspired by our Yamaha 'MAX' scooter family, the new LED taillight accentuates this 125cc scooter's dynamic character. Completing the package are newly designed instruments featuring a comprehensive 3-gauge design that displays a range of clear and useful information via the analog tachometer, tripmeter and digital speedometer. Powering the Majesty S is a refined version of the highly regarded 125cc liquid-cooled 4-stroke SOHC 4-valve design that was originally developed for the Xenter. This engine is built to deliver punchy and responsive acceleration away from a standing start, and keep the rider one step ahead of the traffic. A highly efficient fuel injection system makes this one of the most economical ways to commute, and for a smooth and relaxing ride the engine is equipped with a single shaft balancer and a stepless, low-maintenance CVT transmission. The Majesty S also benefits from a new monoshock rear suspension system that uses a horizontal single shock absorber that gives smooth and stable roadholding. This monoshock rear suspension helps to give a more centralised mass for increased handling agility, while its progressive linkage ensures responsive and comfortable rear suspension characteristics over a wide range of riding conditions. The affordable new Majesty S is equipped with a number of features usually found on more expensive models, underlining the great value for money offered by this new scooter. The large diameter 267mm front wave disc and opposed piston caliper give plenty of strong braking power, and there's also a large diameter 245mm rear wave disc brake for smooth and controlled braking. To complement this urban scooter's attractive looks and high quality design, the Majesty S is equipped with 13-inch diameter alloy wheels. Featuring a stylish 5-spoke layout, these lightweight wheels keep the unsprung weight low and help to ensure smooth and responsive suspension characteristics for a comfortable and confident riding experience. The new Primavera 125 and 150. Now available in dealers across Australia. The highly anticipated Primavera has now been officially launched. Primavera is Vespa’s new small frame LX replacement. 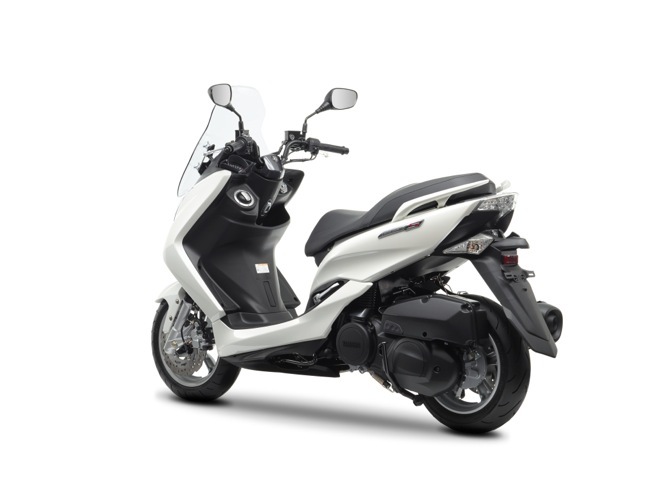 Available in a 125 and a 150 cc version, the Primavera is now in dealers across Australia. We were at the Primavera launch this week in Melbourne and will have a full report shortly. Initially, we can tell you that things have progressed in a fairly big way over the 9 year old LX. The Primavera feels physically larger, the wheelbase is actually longer and overall ride quality has been enhanced substantially. The Primavera is far smoother, carries less vibes on take off and is overall now very refined. Riding duties over the launch consisted of inner city commuting to a longer freeway stint which did see the Primavera proving it has some serious upper speed credentials. Vespa have harnessed the 3 valve engines potential and with new engine mounting points, the Primavera feels like a different machine. Other notable features include a larger more usable underseat storage area, LED running lights and a new electronic analogue/digital dash with mode function. The switchgear is all new and the styling has taken cues from the 946 manual. Wheel size has been upped by an inch and the seat is larger and far more supportive, it also has a spring that helps with opening and closing duties. The Primavera has the job of taking the Vespa brand well into the future. First impressions count and we can tell you confidently that the Primavera has all the ingredients, each change has contributed to making a real difference. The quality looks good, the ride quality has improved significantly and the overall design is fresh and modern. The 125 has been priced at $5290 plus on roads whilst the 150 comes in at $5990 plus. We’ll have the full update shortly. Honda has moved the goalposts, again, with the release of its new 2015-spec PCX150 scooter in Australia. 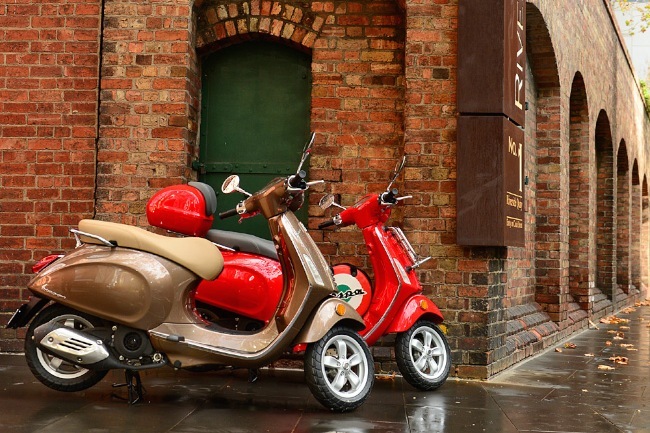 Europe's most popular scooter has been revised for 2015, offering tremendous value-for-money and an array of new features along with enhanced safety and innovations, to give commuters the ride they have been looking for. 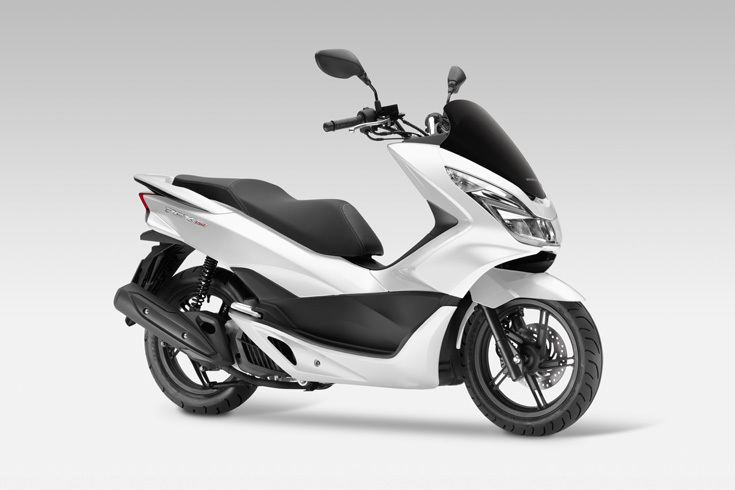 For a start, the Honda PCX150 utilises eSP - 'Enhanced Smart Power' in its engine design. What that means is more power, better performance and, together with a bigger, 8 litre fuel tank, a range of more than 350 kilometres between visits to the petrol pumps*. Honda's latest scooter is also easy on the environment, thanks to its Idle Stop technology, which cuts the engine at traffic lights and restarts it - silently and automatically - with a twist of the handgrip. 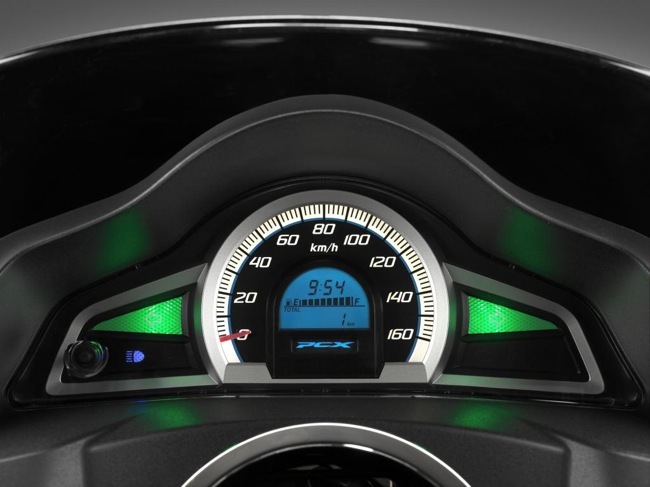 The 2015 Honda PCX150 offers features like LED lighting front and rear for greater visibility and safety; the improved convenience of greater under-seat storage, with a handy stay to hold the seat up for easier access; even a 12 volt AC adapter that allows the rider to charge a mobile phone on the move. 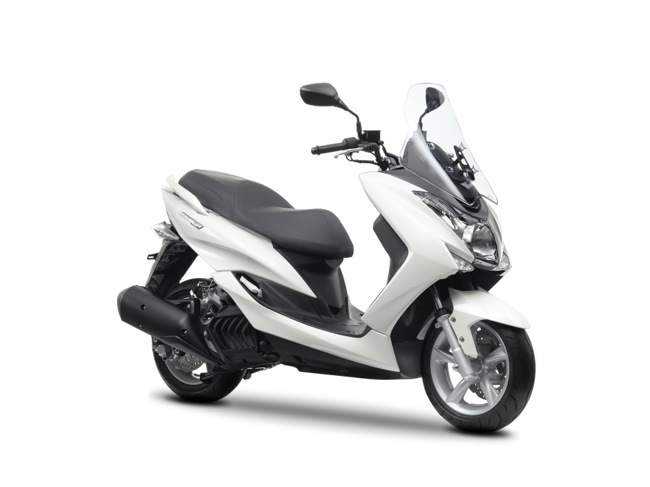 New bodywork provides not only a more modern look but also a lower seat height of only 760mm which, together with a 'straddling height' of 540mm, means that the PCX150 is comfortable for riders of all shapes and sizes. The new styling also ensures it will satisfy the style-conscious urban young commuter, without sacrificing its in-traffic manoeuvrability. An all-new instrument panel now features an LCD display and clock, for visibility in any light conditions. 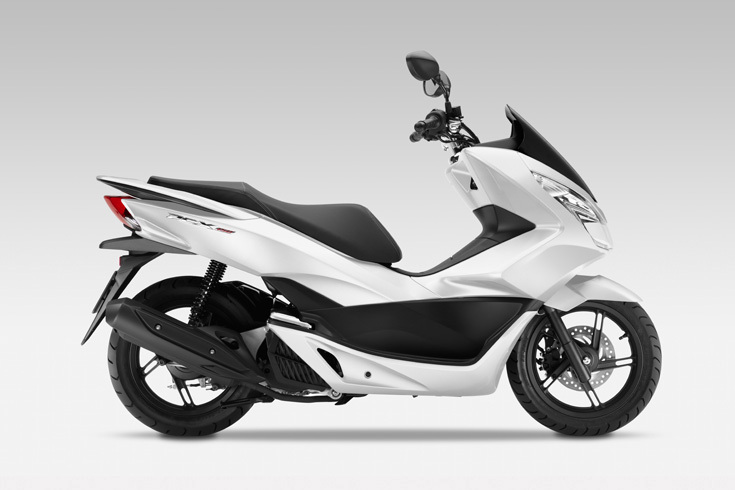 The Honda PCX150 is available in two colour choices, Pearl Cool White or Pearl Siena Red, while a range of accessories, including a wind shield and top box, are available so riders customise their riding experience. 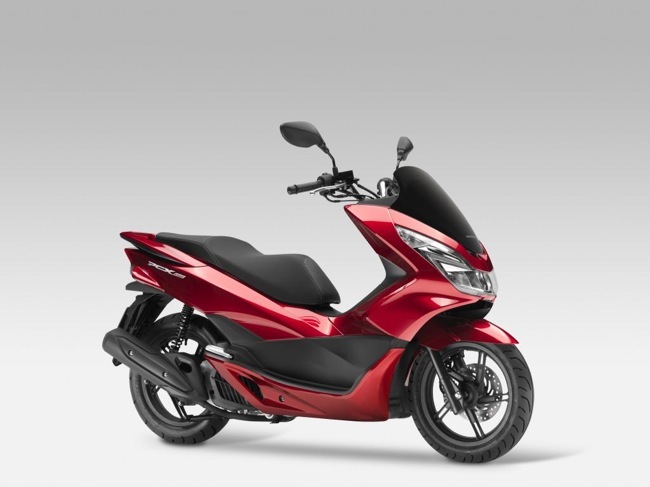 With an outstanding Manufacturer's List Price of only $4199 plus on-road cost, the 2015 Honda PCX150 will be in dealers in June and offers everyone a 21st century commuter that will put a smile on a rider's face. *The fuel consumption figures quoted in this release are based on standardised testing conditions prescribed by WMTC. You may experience different results depending on riding conditions and the condition of the motorcycle.